Spiritual Seeking is your Soul Autumn. This is a love letter to the self, from the self, about seeking truth. You whom I’ve had the privilege to seek and then know. Thank you for the gift of seeking and questioning. For I came to see that every question held a quest. And so instead of asking questions like, “What must I do?” you taught me the true quest of “Who am I?” and this changed everything. Because of this spiritual seeking quest, I have come to find you as the true. And there is such deep love. Such knowing. Dear reader, you and I are not islands of flesh, bound to crawl, scratching in the dirt for what we seek. You and I are the same ultimate I. The boundless presence of the timeless one. In your eyes I see the same, most beautiful true self. And in this presence of abiding peace that is the true self, I sense your struggle, your clinging to the threads of time-bound identity. This I is the knower of knowledge. Though these eyes are locked into many singular windows of the world, the “I” that knows one window is the same that knows all windows. This “I am” is free of all windows, of the flesh. Free of all illusions. Here are some important questions for the Seeker of truth. Read these words and sing yourself home. This which burns, flames to the heart. making sure that nothing stands in its way. This force of love, blind to all walls of division. It will have me. Its hunger is insatiable. It will have all – no whispers of illusion left in its wake. to what it must have, above all else. That is how it bends us. That is how it calls. Nothing’s but the fire of this divine love. to kiss the wind as my breath. Have you heard the call to come home to you? ~ Colleen-Joy, Enlightened Apple Tree. I call to you. I call you to your true home. To the place you have never left, though you believe you have. When I see you, I don’t see you the same way you see yourself. For grace has remove the lens of the false from my seeing. I see you as the same that I find myself to be. I see deeper than the surface of your mind and flesh, to the boundless presence that is undivided by walls of thought or skin. And here is true family, true self, true belonging, true healing. Don’t let the ego twist my words of love to reinforce the illusion of the separate self, let these words free you from the illusion of the separate self. Where are the words that will show you this, and help to liberate you from the hypnosis of fixed attention? Where are the words to show you that you exist, even prior to the mind, and prior to attention itself? You are not walled in by what you see, nor by the windows you see through, you are the knower of all seeing. I call you. I call you to stand freely as the liberated being that you are. To claim your sovereign place as that which has no opposite, no definition, no prison. I call you to know yourself as life. The same life that projects cosmos into form. Did you come here for gold or for the true self? Did you come here for fame, or for freedom? Did you come here for love or to know that you are the love that births all life? You who are undivided, who is equal to all moments, who opposes no thing, and embraces all. I call to you. Come meet me as the self. And let’s delight in the taste of colour, light, sound, texture and artistry of the miracle of life’s God light-show. Let’s know no boundaries between us. Giving each other the privilege of being apple trees standing together in the sunlight of truth, breathing the earth and simply being. I call to you. Will you come to meet me? P.S. 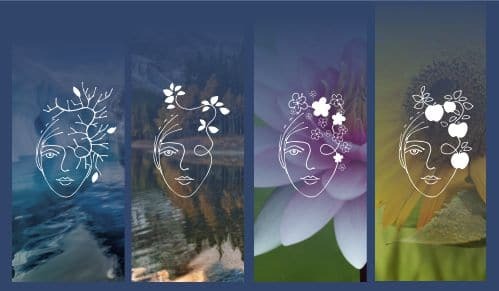 I recommend these Spiritual Guided Meditations to support your spiritual seeking path. Founder of InnerLifeSkills and Enlightened Apple Tree. Colleen-Joy brings practical wisdom to understanding non-duality. 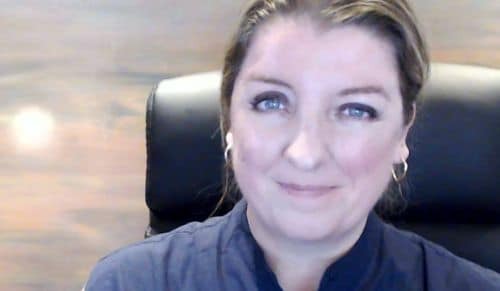 You can enjoy her books, blogs, art, talks and online live courses. 2 Television documentaries were made about her life. She has delivered over 900 presentations around the world. Join Colleen-Joy's live online classes. 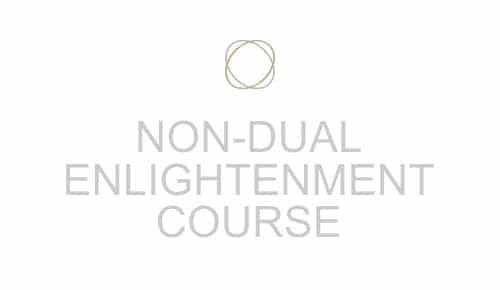 Check dates & prices to join weekly classes for our 3 MONTH NON-DUAL ENLIGHTENMENT course. We protect and respect your email and privacy. Attend Colleen-Joy's Next Online 3-hour live SATSANG. Reserve a place to attend live online Satsangs. "What Season is your Soul in?" Download this info-graphic style non-dual enlightenment guide with love from Colleen-Joy. "What Season is your Soul in?" Download a FREE non-dual enlightenment guide from nonduality teacher Colleen-Joy. Are you experiencing the suffering of a Soul Winter or the seeking of a Soul Autumn? The spiritual awakening of a Soul Spring or the enlightenment of a Soul Summer? 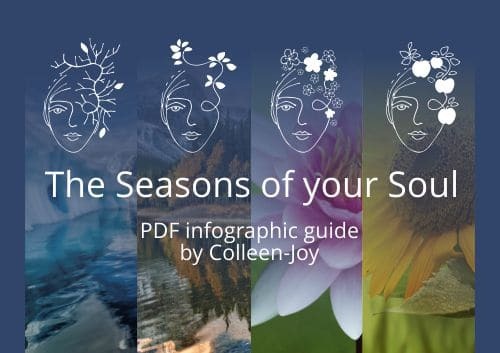 This helpful infographic-style PDF guide includes guided meditation guidelines and teachings for each season of the soul. We protect and respect your email address and privacy. ENROL for Colleen-Joy'sFREE5-hour "Enlightenment 101" video course. If you feel drawn to this study and the teachings resonate, then enrol here for this 5-hour introductory online video course. We protect and respect your email.